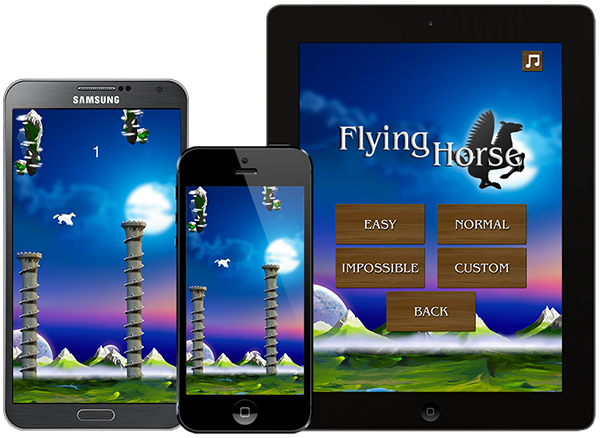 Flying Horse – Addictive gameplay, endless fun! Tap to fly the horse and avoid obstacles as you gain points in one of 4 difficulty levels. Beautiful graphics, epic music and addicting gameplay together with leaderboards will give you hours of fun. Besides trying to get your high score on the leaderboards you can also share your score on Facebook, Twitter and by Email or SMS.